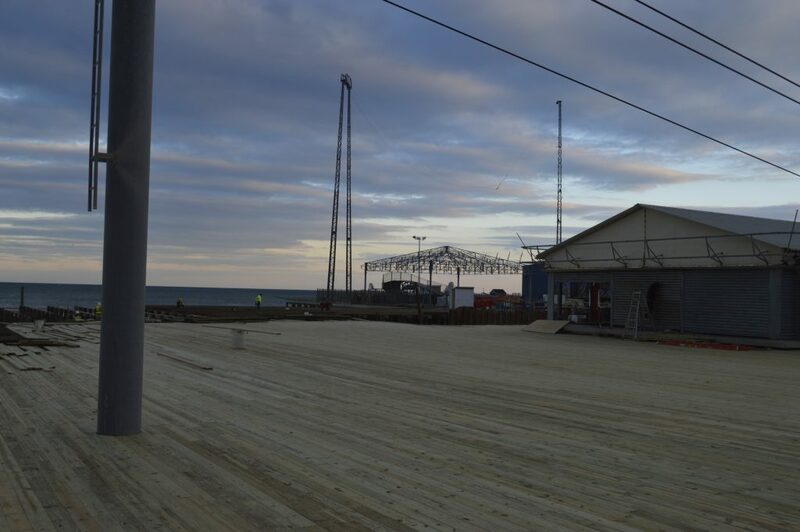 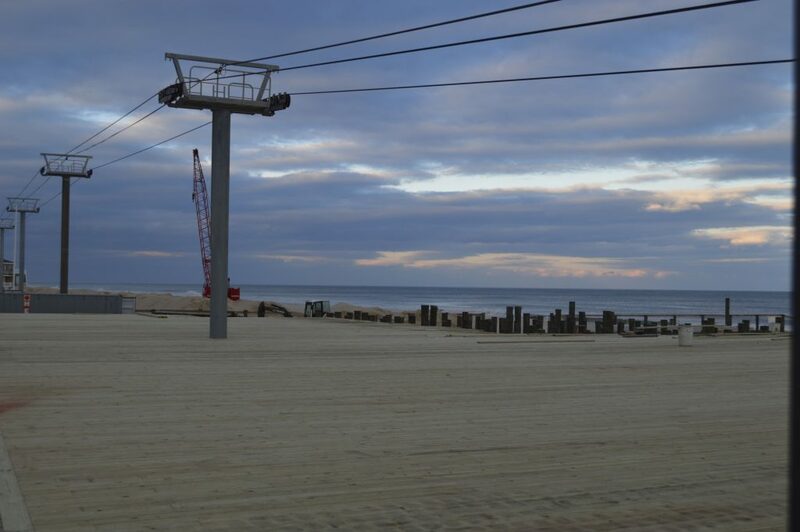 If you haven’t been to Seaside Heights in a few weeks, you might be stunned to see the progress that’s continuing on the expansion of Casino Pier. 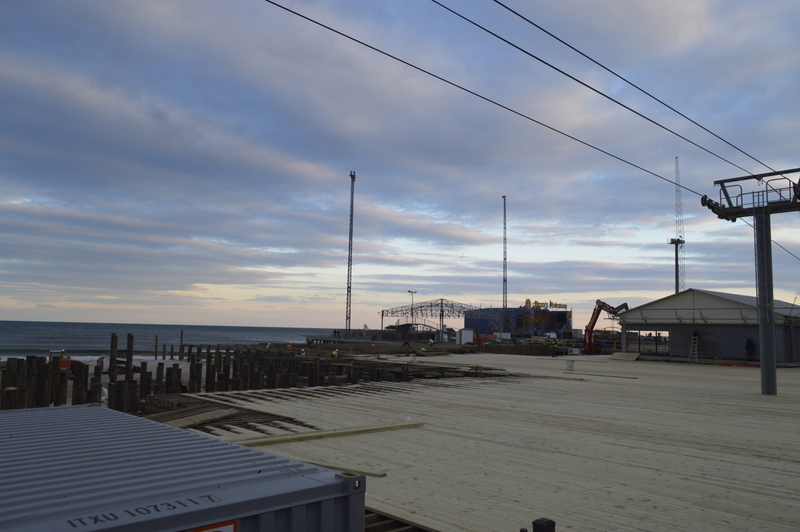 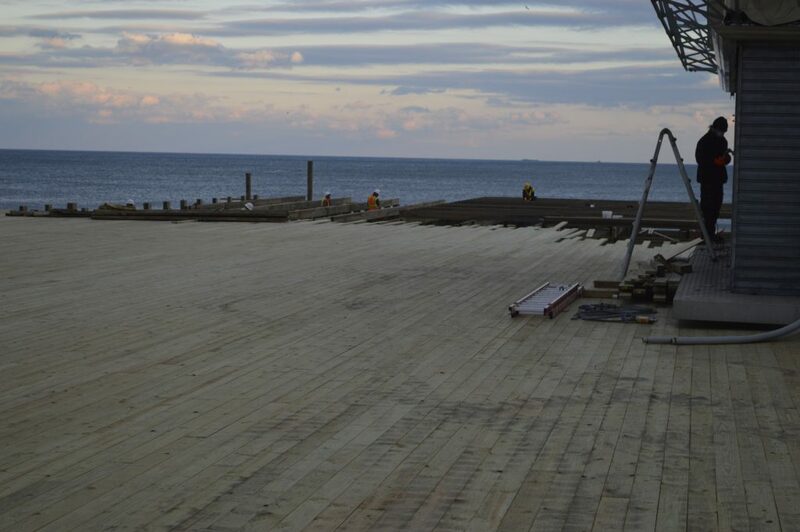 Last month, we posted an update with photos of the pier decking in its infancy. 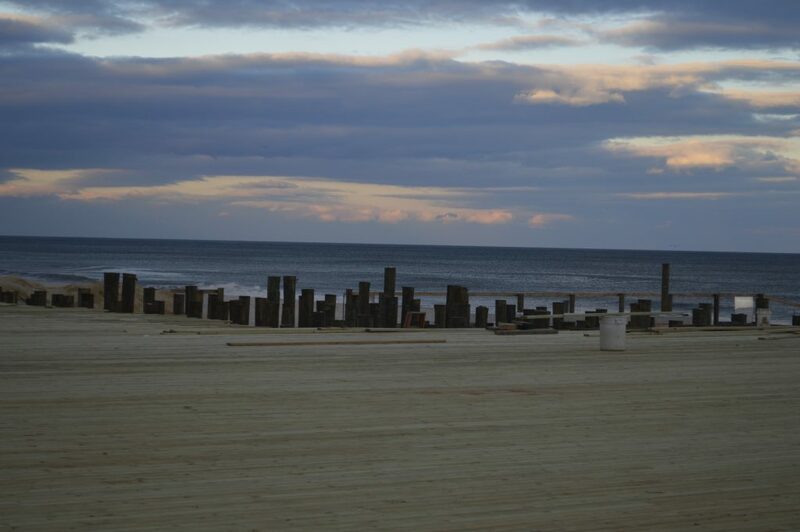 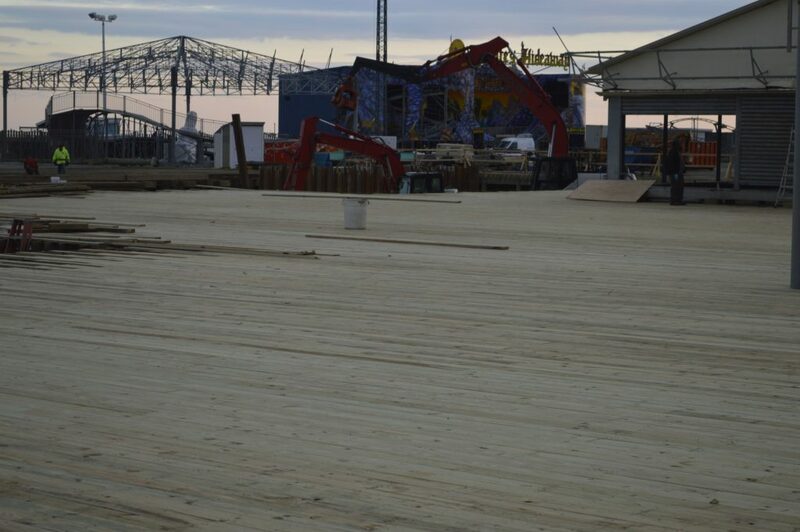 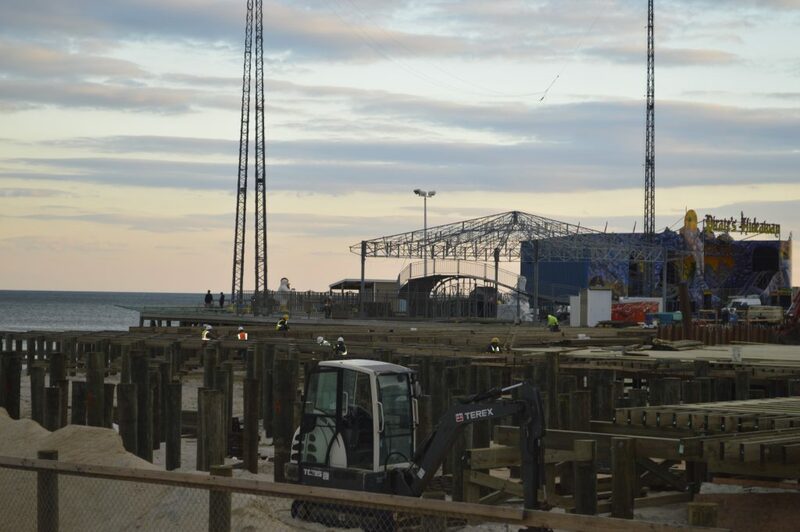 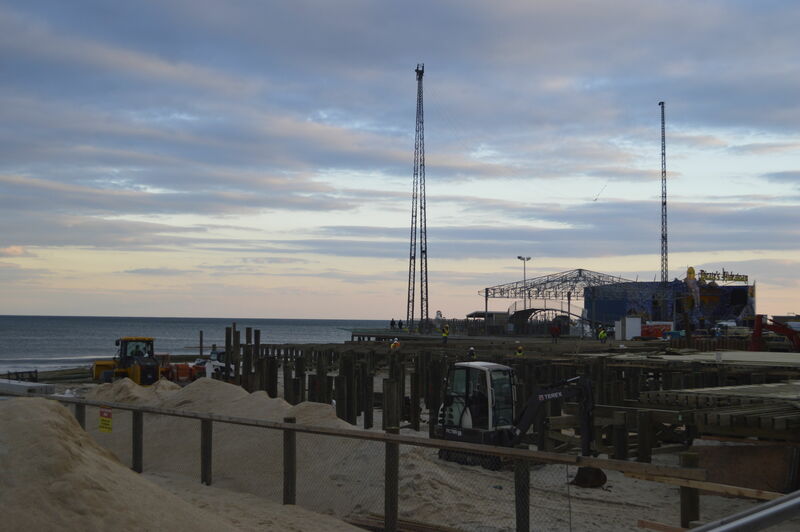 Now, the decking stretches well out onto the beach as the structure is beginning to take shape. 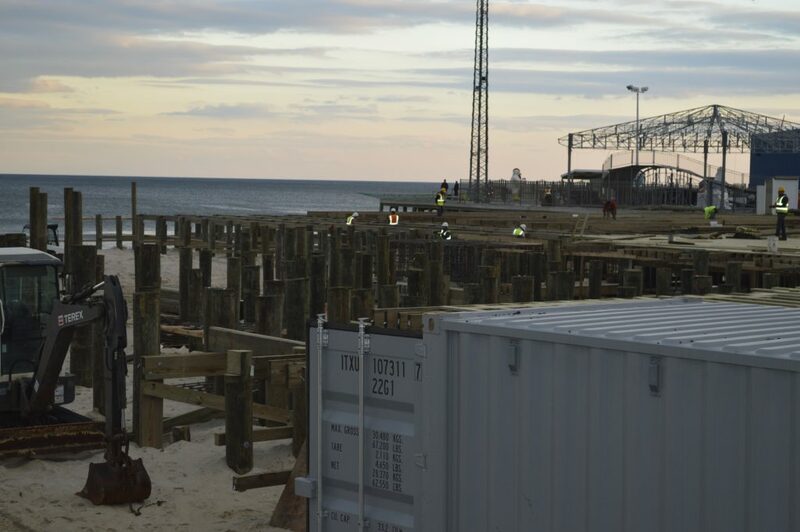 Crews are still working every day, all day, to install the last of the pilings and the foundation of the expanded area. Last week, Casino Pier announced two new rides that will eventually call the expanded portion home – a thrill-ride rollercoaster and a 130-foot tall Ferris wheel.